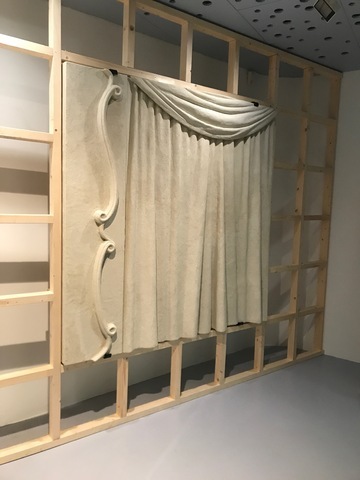 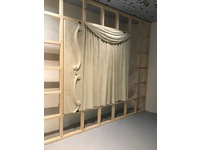 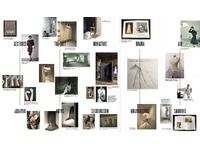 The new installation of the museum galleries comes from an invitation from the Cristobal Balenciaga Museum to respond to the new curatorial route through the archive. 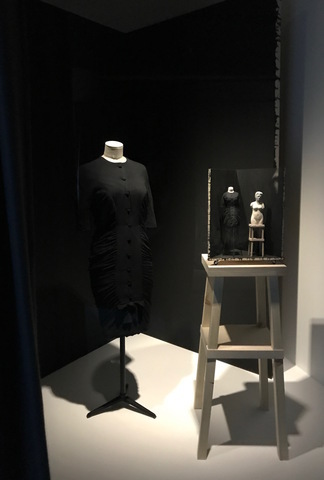 The exhibition, Cristobal Balenciaga Fashion and Heritage, collects together moments in the history of the houses Balenciaga established in Spain and in Paris. 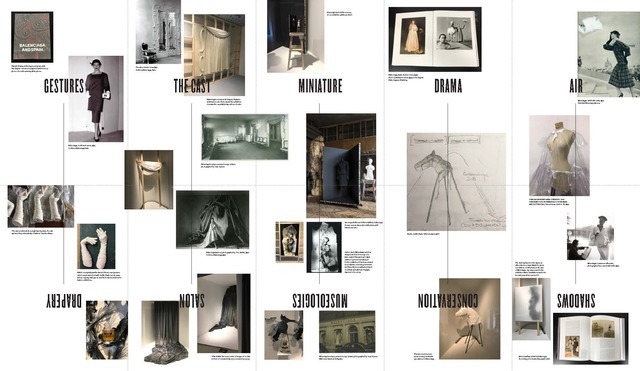 The exhibition format allows the build up of associations and conversations across collections, each adding a new perspective.